One of the issues that concern the world at the present time is global warming. 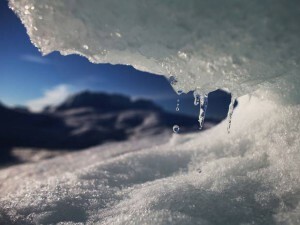 Experts around the world have been warning about this for decades and have been urging governments to do more to slow down the rate of global warming. They warn that there is a 75% risk that global temperatures will rise a further two to three degrees in the next 50 years. The consequence of this would be dramatic. In fact a rise of just one degree would melt the Greenland ice sheet and drown the Maldives, but a three degree increase would kill the Amazon rainforest, wipe out nearly half of all species facing extinction and wreak havoc with crop yields due to weather changes. Whilst the global climate goes through hot and cold cycles, what is worrying about the current phase is the pace of change that could send us head first into a final spin. Although we have certainly benefited from technological advancements that have given us plastics, air travel and cheap food – what is important is to maintain a balance so that excessive consumerism does not ride roughshod over nature’s harmony. In Islam man is given the role of trusteeship over the earth, which is a huge responsibility. In the past, man had to be careful how he treated his local environment since excessive grazing or agriculture could bring ruin to his livelihood. His knowledge was also limited but in the event of a disaster either through ignorance or abuse at least he could resort to moving elsewhere and start again. Now we should have no excuse for ignorance and we should have learnt from our past to avoid misuse. But what is worrying is that the impacts of our behavior are not just local anymore, they are global. If we fail to act in a responsible manner then we cannot simply relocate because there will be nowhere to go. It is therefore vital that as producers, manufacturers and consumers, we ensure that we give due consideration to the impact of our actions. Such a responsibility is not just that of the east or the west but a responsibility for all of us. The overall message of Islam is that it promotes harmony by advising moderation. It accepts that we need to use resources for our progress but this should be done wisely and in a sustainable manner, so that a satisfactory medium is found. The Holy Quran relates in Chapter 25, verse 68 “those who, when they spend are neither extravagant nor niggardly but moderate between the two. So as individuals we should act on the Quranic injunction that promotes balance and avoids excess and Nations need to be more willing to share knowledge for the sake of the planet rather than for profit and take collective action in line with their collective responsibility. By doing so we will be able to win the pleasure of God and honour our trusteeship of the earth for the present and future generations.